Fernando Alonso outrageously claims that he had turned down a seat in Red Bull for the 2019 season. The two-time Formula One champion has ignited a controversy in the F1 community, as the team had unambiguously dismissed any association with the McLaren driver, much before the claim was made. Red Bull Racing have responded to the claim- that the driver was not offered a seat for the next season. 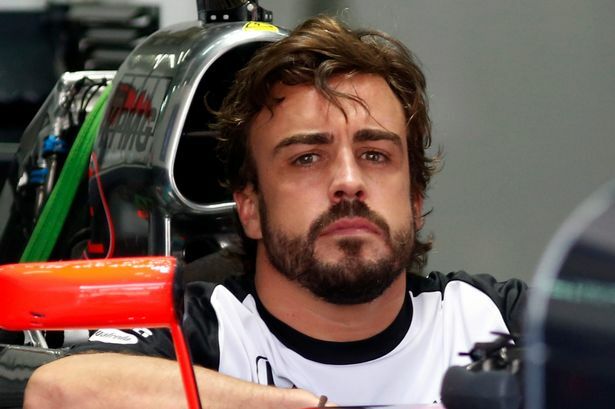 There is absolutely no reason to believe Fernando Alonso. He has previously displayed an unhealthy need to glorify himself, on various instances. Humble is not an adjective that even his most ardent fan would use to describe him. He has been down-to-earth and 'darling of fans', sadly never unassuming. The recent statement, however, contradicts Red Bull's claim. Alonso, having announced his retirement a week prior, must have felt a need to go out in a blaze of limelight. The team clearly expressed that it was not interested in hiring a driver like Alonso, despite his extraordinary talent to pilot a car. 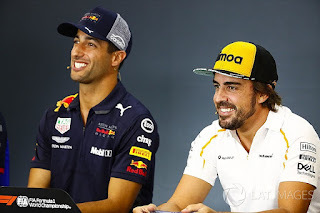 "I have huge respect for Fernando, he is a great driver, a fantastic driver, but it's very difficult...he's tended to cause a bit of chaos wherever he's gone. I'm not sure it would be the healthiest thing for the team for Fernando to join. Our preference is to continue to invest in youth than take a driver who is obviously close to the end of his career." I found this interesting article about "deciphering Alonso-speak" while surfing the web. The article examines his above mentioned inclination for self-glorification. Click here to read the article. He has always made bad choices and rued them. Never the one to shy away from criticizing his incompetent cars, he has often used cheeky one liners to poke fun at the machines. But, there have been more than an element of truth in the rants, like the one below. "The engine feels good, much slower than before. Amazing." Click here to hear more rib-tickling rants. He has expressed a strong dislike for the Honda engines in recent times. As seen in the above quote, the champion is among the biggest doubters of the manufacturer. The fact that Red Bull is switching to Honda power units for the next season might have played a part, if we were to believe his side of the story. Another turn off for Alonso could have been the elevation of Max Verstappen as the team's numero uno. Daniel Ricciardo had announced his move from Red Bull, clearly averse to playing second fiddle to the rising star. He has also openly indicated his desire to pursue the 'Triple crown of Motorsports' , and he is on the verge of claiming the fame. He is yet to win at Indy- the only barrier between him and his glory. It only seems reasonable that he had made the decision even before the season had begun. The legend, being in a dog of a car, must have felt an urge to get back to winning ways. "F1 is not giving me the challenges I'm looking for. It was not the case for me to join this adventure"
The champion had foregone Monaco GP to compete at Indy, which didn't conclude to his liking. He made the next stop at the World Endurance Championship, where he piloted the #8 of Toyota to victory in 24 hours of Le Mans in a memorable overnight stint. That put him within the striking distance of the coveted Triple Crown, which only one driver in history has previously claimed. In this era of specialisations, the marquee star is clearly in a league of his own, excelling outside his primary domain.